The Royal Commission into the juvenile detention system in the Northern Territory should not only be independent but be seen to be independent. Prime Minister Malcolm Turnbull has put paid to that from the start by allowing input by the thoroughly tarnished Giles government into its terms of reference and by the appointment of former Northern Territory Chief Justice Brian Martin as the commissioner. My reservation about that appointment is not based on Justice Martin’s past adjudications but simply on the fact of his role in the NT justice system that sends juveniles to detention, as its Chief Justice from 2004 to 2010 – a period which covers some of the years to come under scrutiny – and as an Additional Judge since then and till now. This role does not necessarily mean that Justice Martin is incapable of turning an objective eye on the system and uncovering its ugly truths – as well as some of its better efforts if any exist. But the public perception of his independence – not only in the Territory, but nationwide – is coloured from the start, and may well lead to scepticism about his findings, especially if they are less than comprehensively damning. It is hard to understand why an experienced pair of outside eyes was not chosen to head the commission. An opportunity to show that it is acting in good faith has been squandered by the Australian Government. This said, I do not agree with the attacks that have already been made on Justice Martin on the basis of his role in the sentencing of the men who killed Kwementyaye Ryder in Alice Springs in 2009. These attacks are based on a superficial reading of the sentencing remarks, little knowledge of how the law operates and no knowledge at all of Justice Martin’s conduct of the plea hearing where he carefully probed the possible racist motivation of the crime. 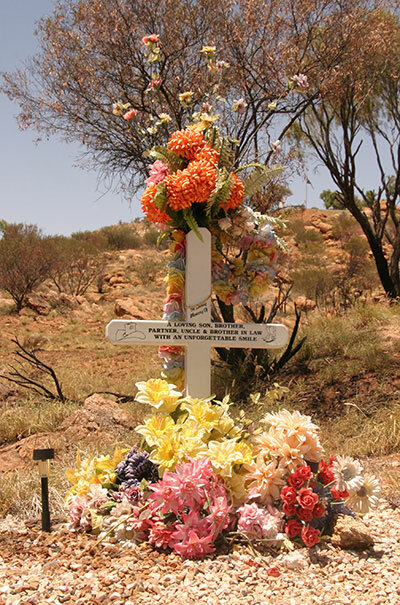 I devote 25,000 words to an examination of this case in my recently published book, Trouble: On Trial In Central Australia (UQP), for anyone who wants to have a better understanding of this adjudication.